Rev up your clothing collection with this sleeveless shirt from the house of Life. It comes with a check pattern that lends it a distinct appeal while the full button placket adds to its convenience. 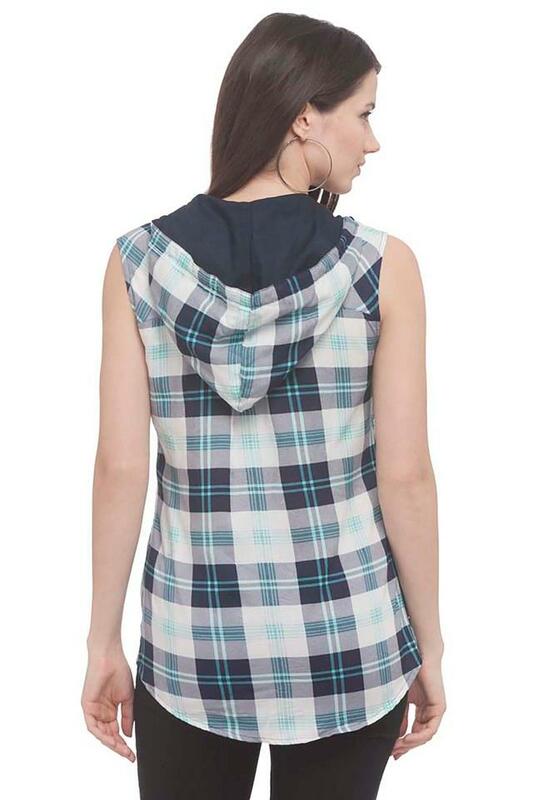 Moreover, the hooded neck renders it distinctive. Also, it has been made of a fine quality fabric that offers a hassle free maintenance. 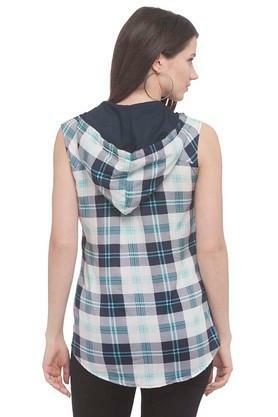 Combine your favourite pair of shorts with this hooded shirt to make a style statement for any casual occasion. 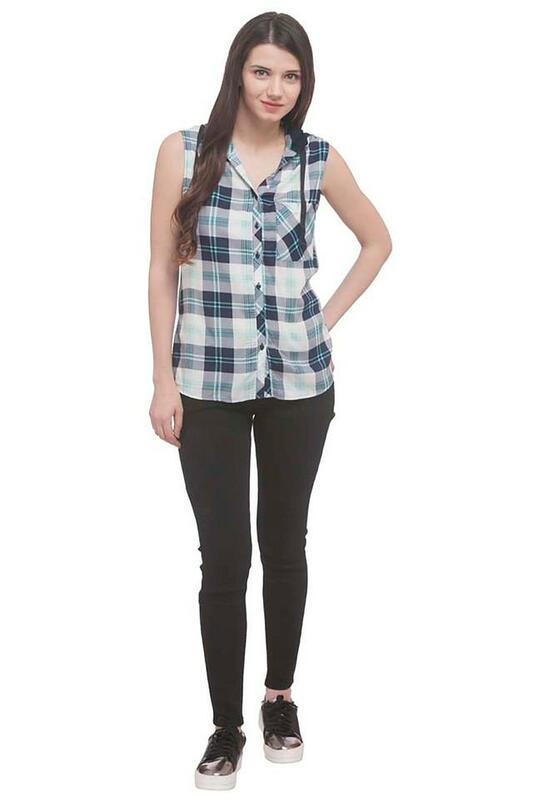 It comes with a check pattern that renders it fashionable.